Hello! 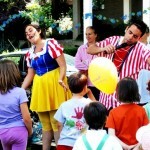 Looking for Children’s Party Entertainers in Manchester? Look no more! We have the best options for your Birthday, Christening, Communion, Corporate event, Christmas Party, Halloween Event, Community Meeting, or even wedding with the most impressive magic tricks, science experiments, puppet shows, dances, songs, choreographies, storytelling, face painting, balloon modelling, games, activities, workshops, disco parties, challenges and competitions! How do we do it? What makes our Children’s Party Entertainers in Manchester different and unique is the multi-skilled entertainers we train for our events. Instead of hiring one person for each activity, we offer an all-in-one package of a highly-trained individual that will be able to perform every task included in your party, which will give dynamism, variety and the perfect balance to your event. Frozen (Elsa or Anna) Brrrr…. If you need more things for your party, do not worry! 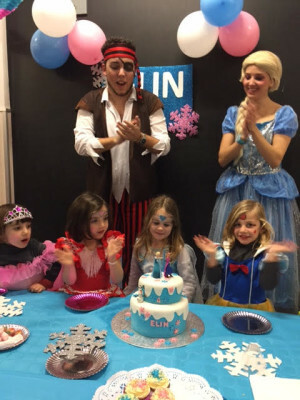 Apart from the amazing Party Entertainment for Children, we have in Manchester suppliers of Catering including Birthday Cakes and Party Treats, Decoration, Bouncy Castles, Mascots, Photography, Party Furniture Rental, Bubble and Snow Machines and everything else you need for your party to be just as you dreamed. No party is too big or too small. 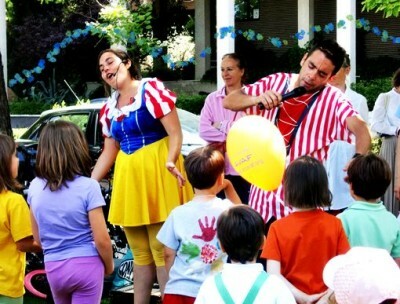 Our Children’s Party Entertainers have the ability to adapt to the size of the party as well as the amount of kids! If you are hiring a huge hall in Manchester or having the party on your own backyard or living room, it doesn’t matter! 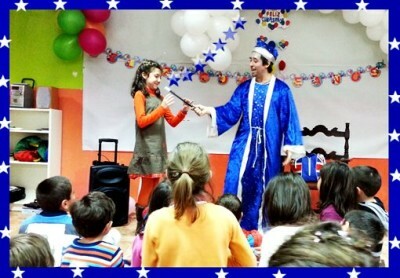 Your party will be as special and amazing as it can be! Our activities are completely adaptable and will ensure Entertainment for children 0-100 years old!! We also have entertainers in London, Liverpool and Birmingham! Music, Dancing, Singing and lots of FUN!! So, make sure you get the best Party Entertainment for Children in Manchester and call us to confirm your booking before the date you want is full! Contact us and you will get a free quote for your event and a taste of our great services! Do not hesitate! Make sure the guests you are having enjoy the time in your party by hiring our fantastic entertainers. 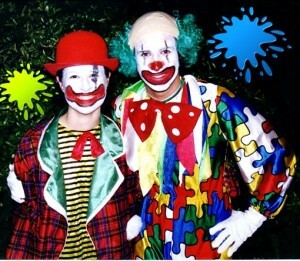 Welcome to AEIOU – Children’s Party Entertainers in Manchester! !